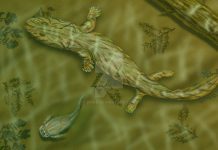 Tiktaalik was a tetrapod which lived approximately 375 million years ago during the Late Devonian Period. It was discovered on on Ellesmere Island, Nunavut, Canada and was described and named Tiktaalik in 2006 by Ted Daeschler and Neil Shubin. The name is an indigenous Native American name for a fresh water fish. If you look at Tiktaalik pictures, then you might not know what it is. It looks very much like a cross between a fish and an alligator. However, that’s not the case. 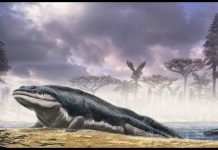 It is a tetrapod that scientists believe will fill the gap in tetrapod evolution. 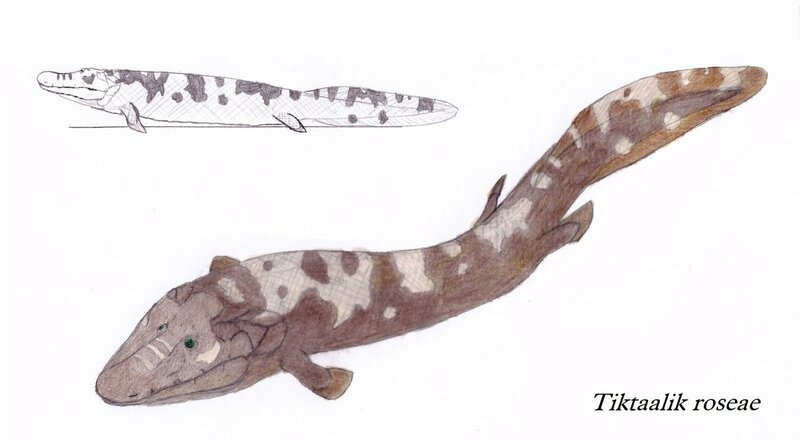 It seems to be halfway between Eusthenopteron and Panderichthys, and Acanthostega. 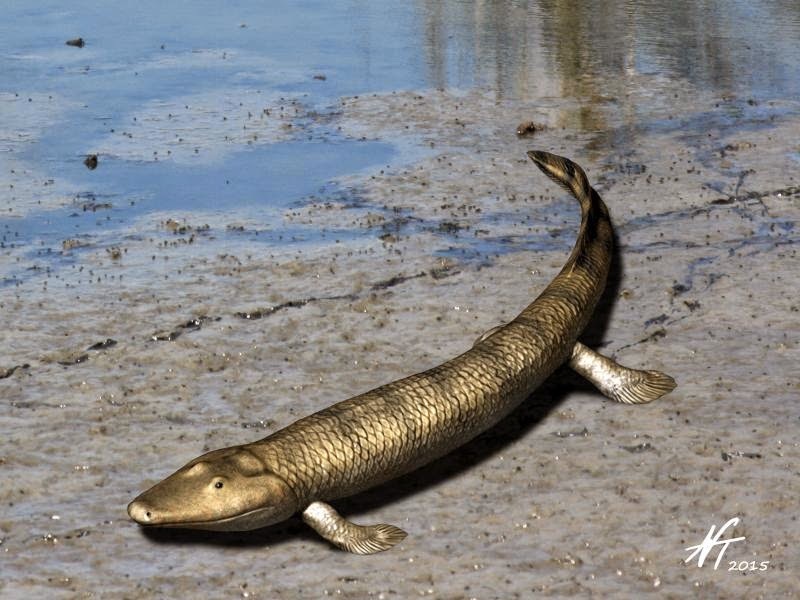 One of the most exciting facts about Tiktaalik is that it has fins that are supported by a tetrapod bone structure. 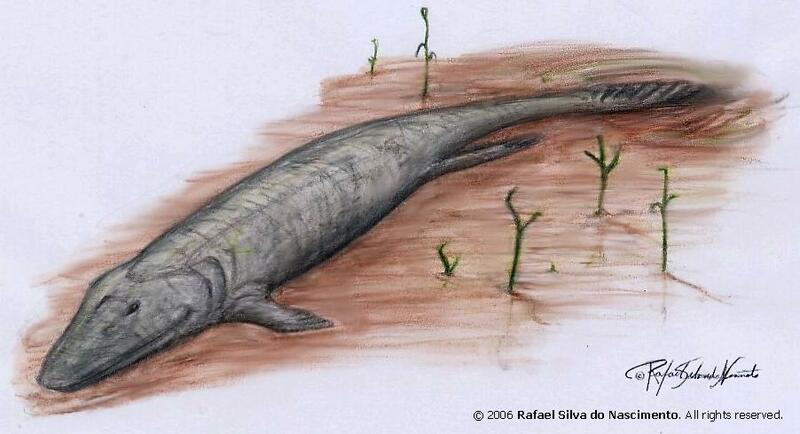 It also seems like it is the first tetrapod with a neck that can move. This feature – along with jointed wrists, lungs and gills – would allow this creature to live in the water and to come up on land for short periods of time. Tiktaalik were between 3 feet to 9 feet long and weighed around 50 pounds. They had nostrils in the top of their head which allowed them to skim close to the water surface and still breathe air. At this moment scientists don’t have enough information to determine what its diet was like. 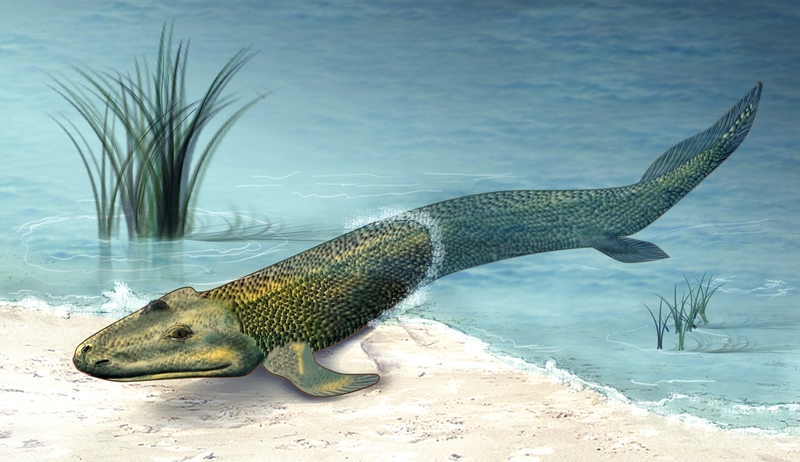 Why did tetrapods like Tiktaalik evolve in the first place? Well, scientists have different theories but one of the most prevalent ones is that shallow lakes, streams and rivers were subject to drought, so creatures that could survive drier conditions longer were more likely to survive. Another theory is that bigger fish may have forced these smaller fish out of the water. They, therefore, had to evolve in order to survive.